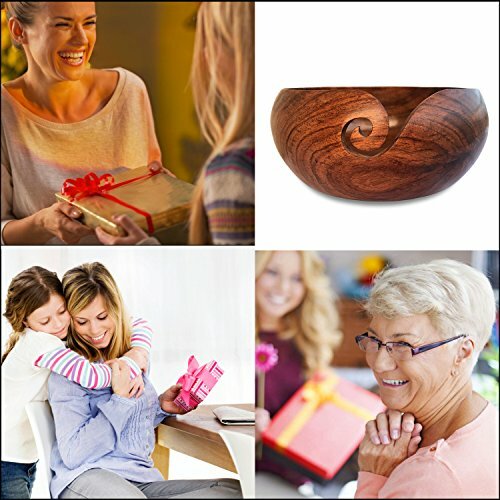 Wooden Yarn Bowl from Sheesham wood(AKA Indian Rosewood) now includes BONUS THREAD CUTTER. Strong, sturdy & unbreakable – SAFER than ceramic alternatives! CAN BE CARRIED in your yarn bag or yarn tote – take your work anywhere with you…whether you take your journey by plane, train, boat or car. You can use it as DECORATIVE STORAGE when your knitting projects are on hold. 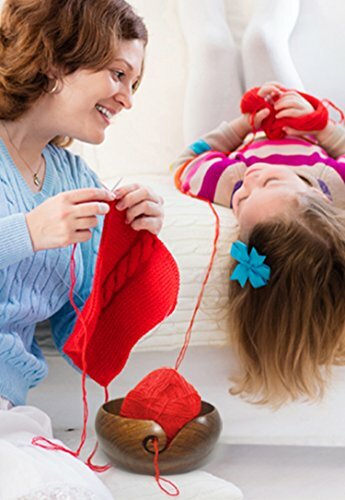 The CURVED SLOT in the side keeps the yarn flowing freely during knitting and it makes it easy to take the project out of the bowl without any problem. The bowl can also then be used for more than one project at a time. The way the bowl is shaped- COLLARED– prevents the yarn from popping out because it is flared at the bottom and then narrows towards the top and it is DEEP ENOUGH to keep the yarn in place. The bowl works best if the yarn is pulled from the center of the skein. ✅ BEWARE OF POOR IMITATIONS AND REPLICAS. e&f is the only seller of this product. To guarantee the product you receive is identical to the product listed please ensure you only buy from e&f. Yarn Story yarn bowls are distinctly different from others. They have Yarn Story stamps in the back of them and they come in special Yarn Story bags inside Yarn Story cardboard boxes. 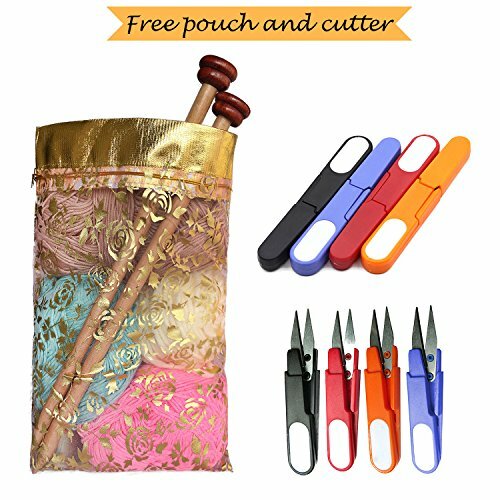 ✅ BUNDLED WITH YARN SCISSORS AS A BONUS – It comes with a pair of lightweight and easy to use THREAD CUTTER SCISSORS with a safety cover (random color – red,orange,purple or black). ✅ MEASURES – 6″ diameter x 3″ height – Will comfortably fit a 3.5oz/100-gram ball of bulky yarn. 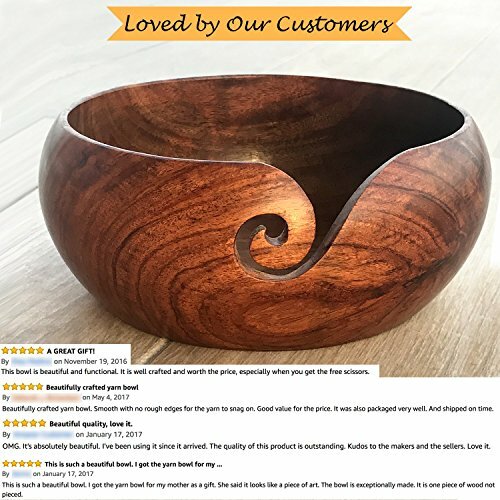 ✅ HANDMADE FROM SHEESHAM WOOD BY ARTISANS OF INDIA – The yarn bowl has a smooth cutout on the side of the bowl for easy feeding. It keeps your yarn clean and straight .